Guatemala was one of our favourite places so far, despite the close distances, the change in atmosphere and culture was very noticeable. The most noticeable thing is how beautifully the women are dressed and the presence of Mayan culture and history. We had a busy few weeks visiting Antigua, Lake Atitlan, Lanquin (Semuc Champey), Flores and Tikal. Antigua has been the most beautiful city we have been too so far, the old town has an abundance of churches and huge volcanos (including an active one) standing over the city. It defiantly a much more touristy place, with lots of expensive hotels, bars and restaurants but on the plus side Alisdair managed to get a much desired Long Black. Budget options were available too if you knew where to look. Our favourite cheap eat was the ladies on the side of the road selling bags of fresh fruit for only 5Q ($1NZD). From Antigua we took a private shuttle (easiest way to travel and not too expensive) to Lake Atitlan. See our post here on why we loved Lake Atitlan. During our time in Guatemala we met a number of other travellers, one Canadian lady asked me “what is it like travelling for so long”, my response was that it is not as glamorous as it seems but that I feel very blessed to be in a position where I don’t have to work for almost 1 year! When I look at peoples life’s here, I wonder if they ever get a day off? There seems to be always something to do whether it is getting water or selling food or clothing to make some money. I really makes me feel lucky to have the life I live, coming from a country like New Zealand, it really takes until you travel to countries less fortunate than ours to really appreciate what we have. We get free health care, our kids go to school rather than sell beer to tourists on a river, we have clean streets and drinking water, the list could go on. Perhaps people that complain about taxes should visit places like this so they see why we must contribute to our society and how much we really get for our money. On a lighter note Guatemalans like their neighbouring countries eat a hell of a lot of chicken. pollo crispy anyone? Chicken restaurants are everywhere… What I find funny about them are their signs. They always seen to be advertised by happy cartoon chickens, some even with top hats… I personally don’t think chickens are that happy to be eaten.. but it is defiantly the meat of choice as beef tends to be poor quality. We were laughing with some friends the other day wondering how many chickens we would have consumed by the end of this trip.. I don’t want to know, but we will be taking advantage of beans going forward. 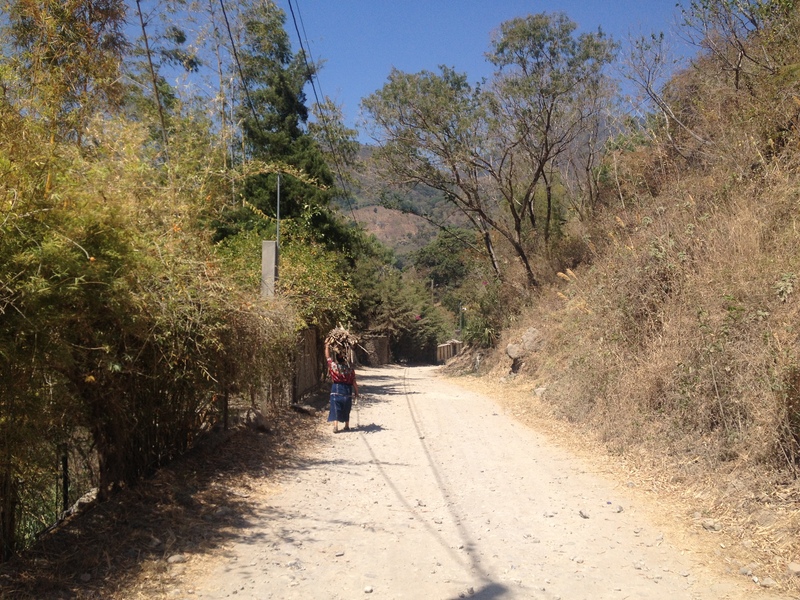 We are sad to have left Guatemala as it is a wonderful country to visit and we feel like we only touched the surface. Ali was also given a parting gift… food poisoning, the good news is that he survived!